Affordable Tax Credit apartments. Income limits apply. We accept housing authority provided Section 8 vouchers. Apartments available for Housing for Homeless as referred by Wellspring. We have 6 subsidized apartments through the King County Housing Authority only for homeless households referrred by Wellspring. The other apartments are NOT subsidized, but we do accept King County Housing Authority Section 8 vouchers. Apartments also available for larger families. Please call main contact for details regarding eligibility. 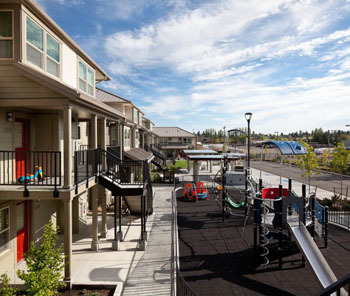 Serving multi-generational families, Unity Village at White Center offers affordable housing in a convenient location. Large central community room and on-site laundry facilities. Computer room for resident's use. Ample parking on site for our residents. Located near bus lines and community services, public resources, grocery stores and other urban amenities are just blocks away. Located across from the Steve Cox Memorial Park in White Center. 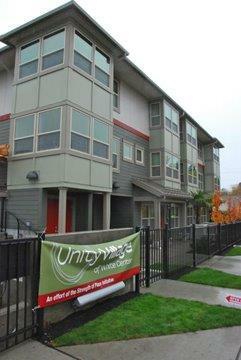 The other apartments are NOT subsidized, but we do accept King County Housing Authority Section 8 vouchers.